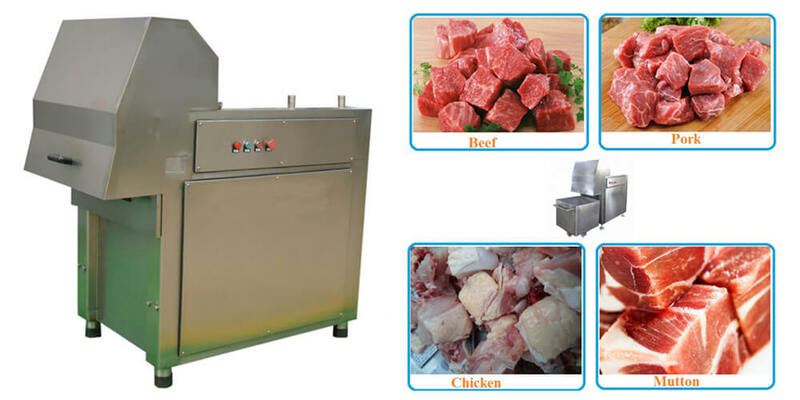 Frozen meat cutter is mainly used for cutting -18~-12℃ frozen meat into blocks, applicable for frozen pork, frozen beef, frozen mutton, frozen chicken, frozen boneless meat, frozen fish, etc. Cutting meat in frozen condition can avoid loss of nutrients and cause no pollution, making sure the meat is fresh. 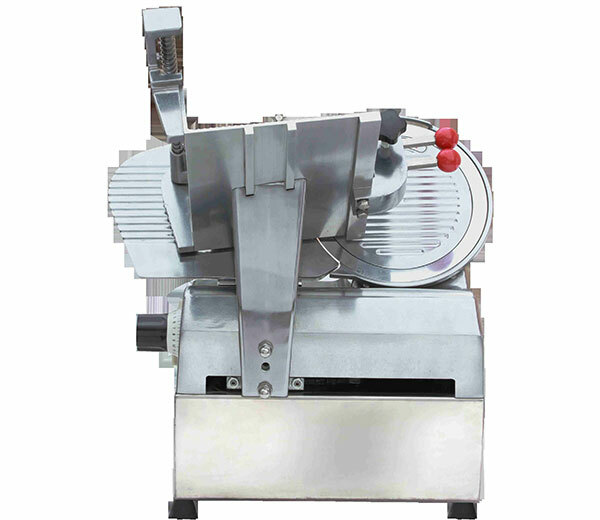 Low noise and stable performance, the frozen meat block cutter is preprocessing equipment of meat bowl cutting and meat grinding. 1. 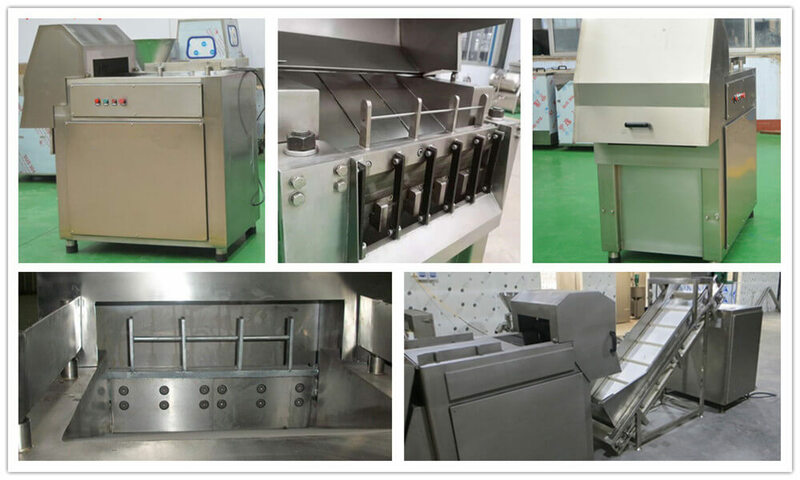 The whole machine is made of SUS304 superior quality stainless steel, meeting the standard of food hygiene; easy to clean, long-life service. 2. The blade is made of high-quality alloy steel, having sharp ends and good cutting effect. 3. 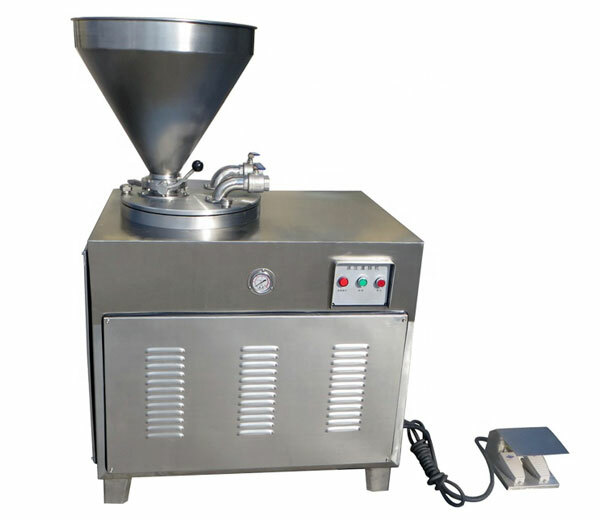 Adopt hydraulic transmission, having low power. 4. 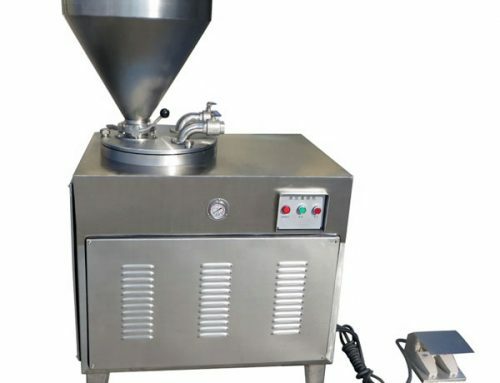 This frozen fish cutter can avoid loss of nutrients and cause no pollution during processing. 5. 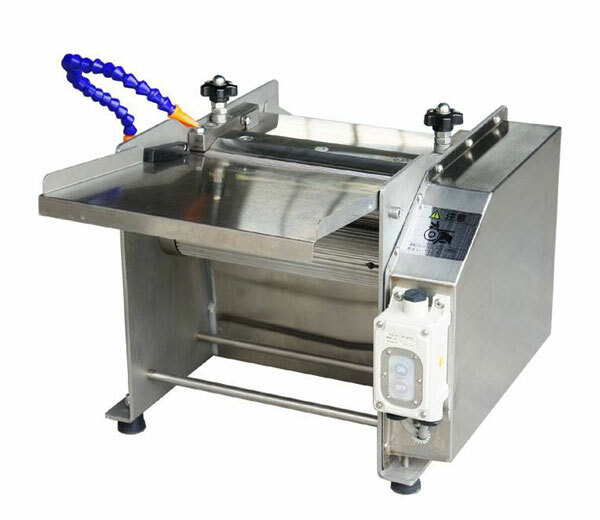 The frozen fish cutting machine is equipped with an automatic protective device. 6. The slideway and meat material are not in the same area, so the meat will not be polluted. 7. Adopting the welded structure to ensure shock-resistance, low noise, and stable performance. 8. Equipped with standard skip car, no splash during cutting. 1. 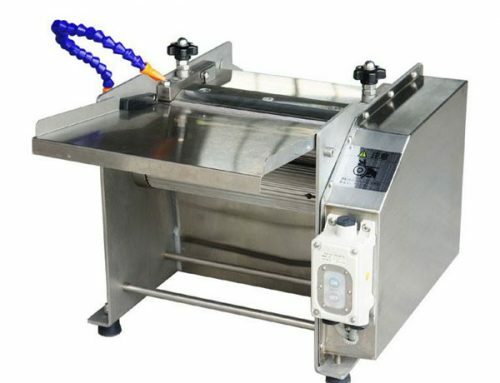 This frozen meat cutter is mainly used for cutting frozen meat into blocks, such as frozen pork, frozen beef, frozen mutton, frozen chicken, frozen boneless meat, frozen fish, etc. 2. 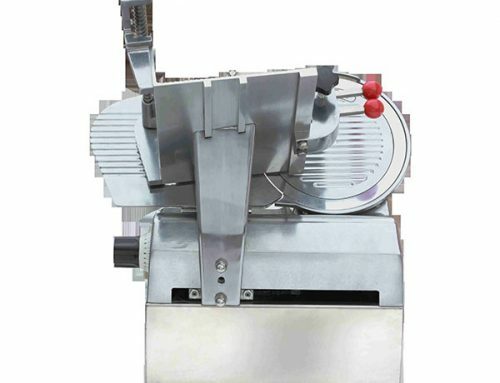 Frozen meat cutter is suitable for the production of luncheon meat, meatball, sausage, dumpling, steamed stuffed bun, etc. 3. 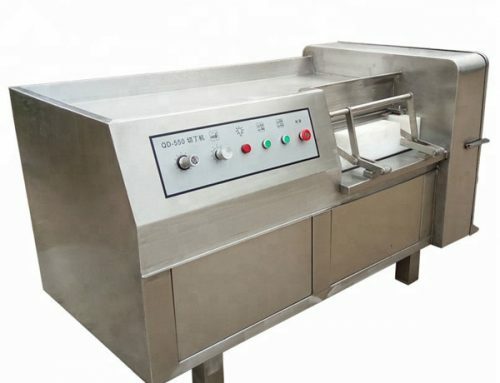 The frozen meat cutting machine is suitable for medium and large food processing plant and meat processing plant. 1. Press the start button to start the frozen fish cutter. 2. By the driven of the hydraulic oil cylinder, the blades will move up and down along the guide pillar. 3. 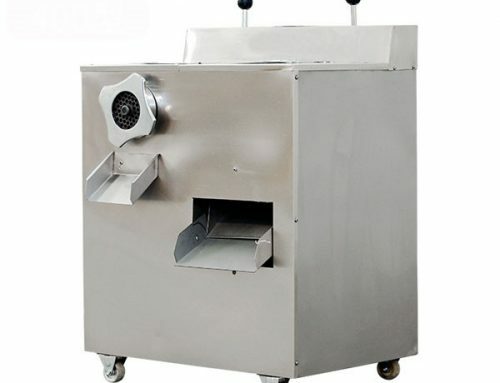 Put the frozen meat into the feeding path, the meat will slide down by gravity and cut into blocks by the blades. 4. The meat blocks will fall into the skip car for next process. 5. 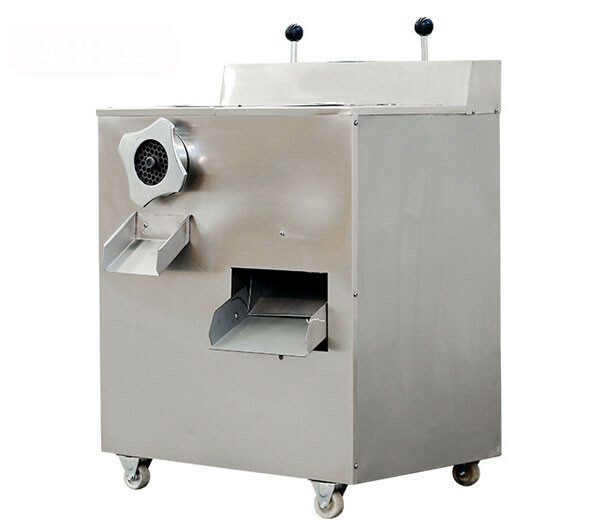 Clean and sharpen the blades in case the minced meat is too much or the thickness is not uniform. 6. 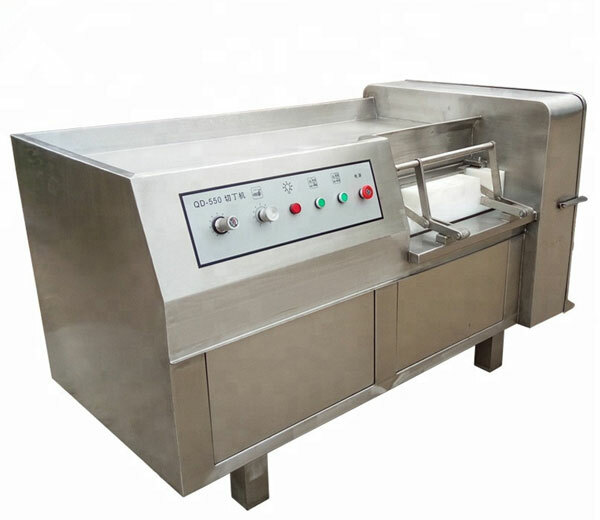 When cleaning the frozen fish cutting machine, first please turn off the power.